You probably think a small business like yours don’t need a website. After all, the people in Greenmount love the simple living away from the hustle and bustle of the city. So why should you even bother? Well, people don’t live under the rock. Content as they may be with the beauty of the mountain scenery, they are digitally connected like many people around the world. Having an online presence is no longer a choice in today’s business world – it’s a requisite. Just like when visitors use the internet to search for attractions in Greenmount, customers also look to the World Wide Web to search for businesses like you. Because of this, marketing your business isn’t so hard these days. As long as you have a website, anyone from anywhere can find you. However, building a website for the sake of having one is not enough. Your business’ webpage must be tailored according to SEO and web design best practices. You need to outmanoeuvre the competition and rank on the search results so customers can find you when they need you. It may sound like a tall order, but you can count on Lethal Graphics for help! Our web design experts and developers are among Perth’s cream of the crop. 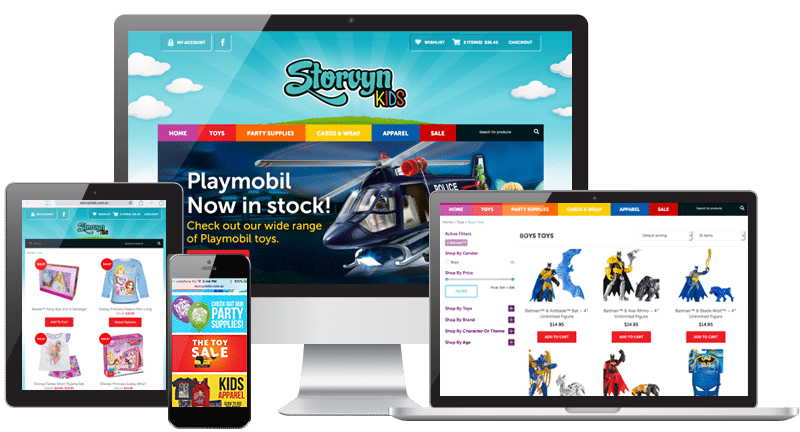 We rely on years of expertise and our extensive understanding of web design elements, trends and user behaviour. We follow a user-centric design philosophy, ensuring your website visitors experience a rich and intuitive environment. Business websites should be reliable and secure. They must be easy enough to non-tech visitors to browse and interact with. Most importantly, they should allow upgrades to be done easily. That’s why we at Lethal Graphics build websites using cutting-edge tools and frameworks, ensuring the final output is fast-performing as well as good looking. We customise the layout and design according to your brand and add interactive elements that bring your web pages to life. We also know how important time is for your business. So we make sure to complete projects within the specified timeframe, without any compromise on quality. If a humble suburb like Greenmount can be popular with tourists and landscape artists, you can be popular with potential customers too! With Lethal Graphics, you can guarantee the best!